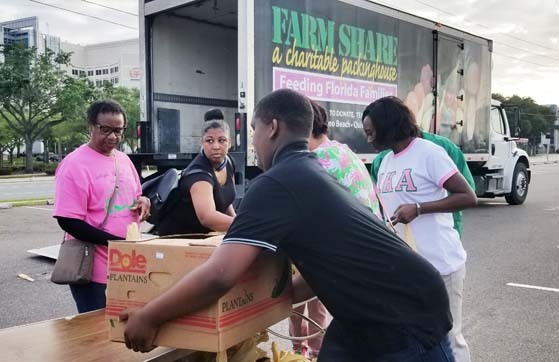 Members of Alpha Kappa Alpha Sorority, Incorporated, Gamma Rho Omega Chapter in partnership with Farm Share, sponsored a food giveaway last weekend at Darnell-Cookman Middle/High School. Hundred of people lined up to receive food, financial literacy information and stuffed backpacks stuffed with school supplies. 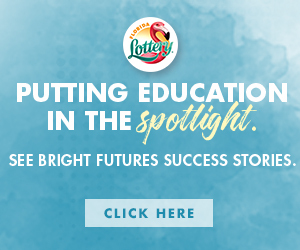 For the past four years, the chapter has sponsored childhood hunger prevention events in the community under the Family Strengthening Committee. This year the committee wanted to serve the community surrounding its sorority house which sits in a food desert. In support of the neighborhood they have previously provided food and clothing and will also host an event in the fall for further community support. 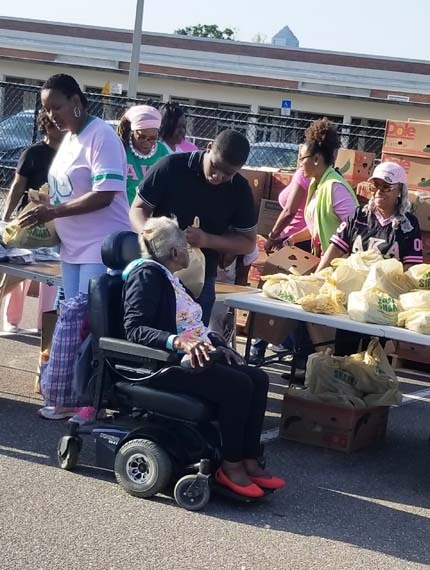 For more activities sponsored by Alpha Kappa Alpha, Sorority, Inc., Gamma Rho Omega Chapter, visit the chapter’s website at groaka.org.